To be honest, right after I planned to write this post, I found out that Finland and Sweden are also archipelago countries. That was a shame to say, but then again I looked for a justification: during my time at school, they didn’t mention anything about Scandinavian countries. We focused our geography learning around Asia, a bit of Europe, and a chunk of Australia and America. We never learned any Scandinavian history, we just know that the capital city of Finland is Helsinki while Sweden’s is Stockholm. As an archipelago country, it was a big task for me to choose the most interesting one to visit. 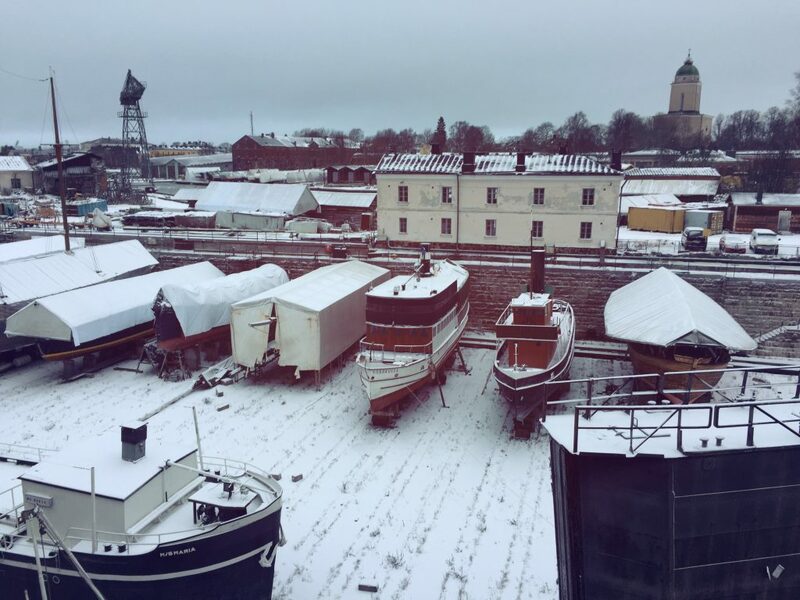 After a brief search, I decided to visit the closest one from Helsinki: Suomenlinna, with a good reason: it doesn’t take much time, and a boat in the winter is just not as pleasant as one in summer, I guess. 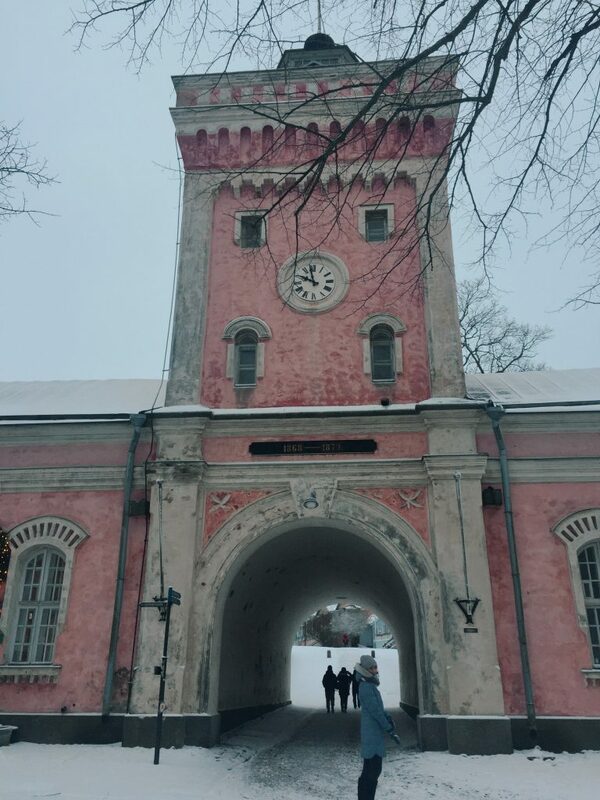 Suomenlinna is the Finnish version of the island that means Castle of Finland, meanwhile, Sveaborg is the Swedish one, which means, you can guess: Castle of Sweden. Which one do you like? It’s up to you. But as I was in Finland, I prefer to use the Finnish version. 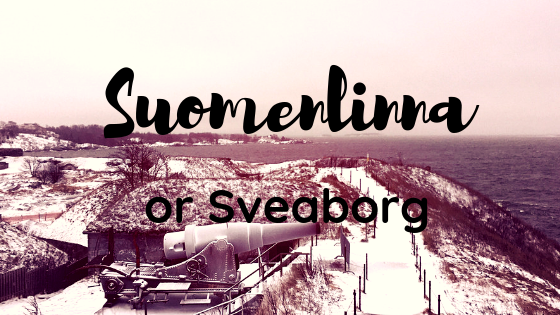 What is Suomenlinna or Sveaborg? During the 17th century, Sweden was considered one of the strongest kingdoms ever in the north. They competed, and had a few battles with their neighbors, one of which was Russia. What about Finland? It was part of the Swedish kingdom. 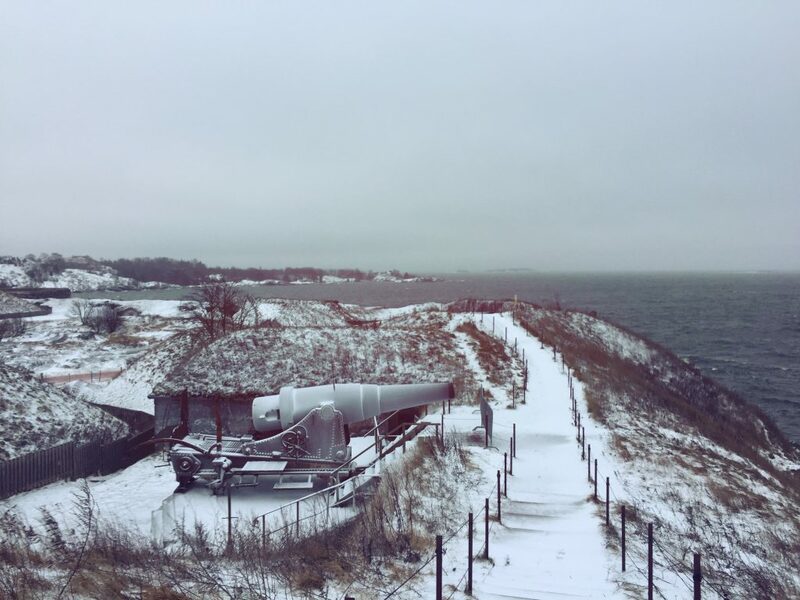 Then, Sweden decided to build a naval base and fortress in Suomenlinna. 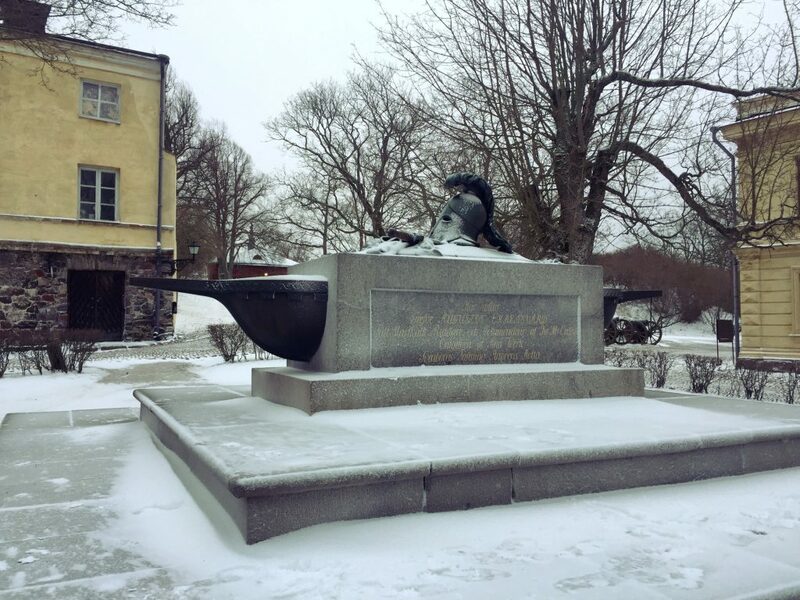 The purpose was simple: to stock munitions for the whole Finnish contingent of the Swedish army and to protect the land itself from Russia. Unfortunately, after the Finnish War, the fortress failed them, Russia successfully seized the fortress, and that marked the beginning of Russia’s occupation in Finland. The best time to visit Suomenlinna is summer, that’s just a fact. 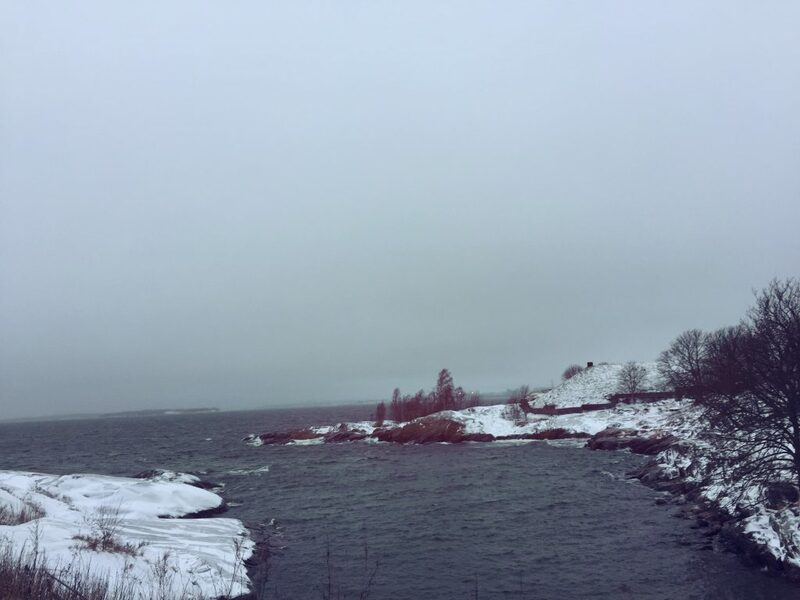 But, last time, and it was my first time there, (I haven’t yet planned to make a second or third trip) Suomenlinna was totally covered in snow. The sky was as grey as the sky in the most polluted country in the world, but the difference was the air was really fresh. I never mind walking in the winter. I enjoyed it a lot, and couldn’t stop looking around the area as our ferry was getting ready to anchor in the harbor. A stone’s throw away from the tiny harbor, we found a kind of tourist information place where we could get a map to explore the island. While we were walking, at around 9 a.m., we saw almost nobody on the trail, except a man who was very enthusiastic to take pictures with the grey clouds in the background. I did take some pictures, of course. 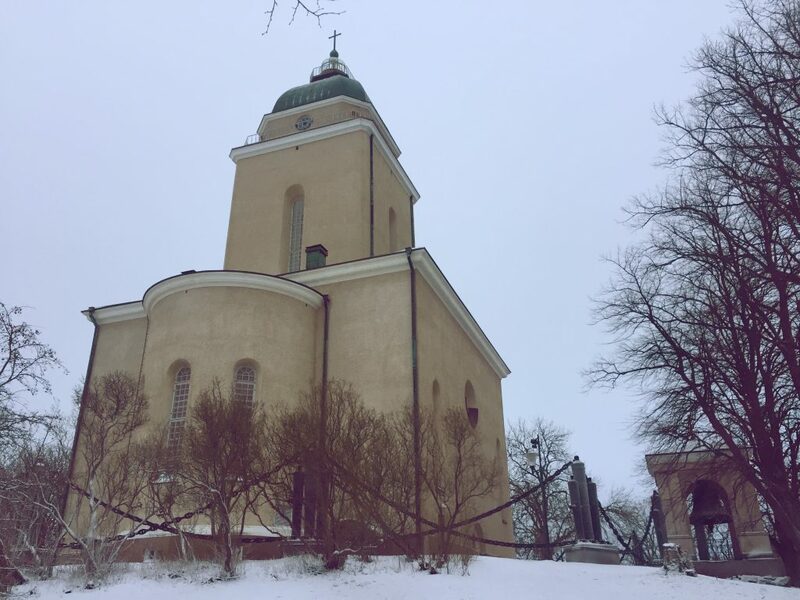 The first landmark awaiting is Suomenlinna Church. The church that was built as a Russian Orthodox garrison church now has converted into a Lutheran place of worship. It’s just impossible to pass this building, not only because it is situated right after we passed the arch gate to the land, but also because the building itself successfully attract visitors’ attention. The second landmark is located quite far from the first one. To be honest, I have no idea how to determine which one is landmark or which one is not. We just strolled around the island, following the signs and the path which was uncovered in snow – along with someone steps, which meant there was somebody before us and we were allowed to visit that area. Yet, the second landmark for me was the great courtyard. And what’s there? As the name says, this courtyard used to serve as a main square before its fatal destruction during the Crimean War. Instead of the big square that should be there, we found a modest but no less important memorial place for Augustin Ehrensvärd, the architect of the Suomenlinna fortress itself. A few steps from there, we found the object of our next photo: a dry dock – the oldest operational dry dock in Europe, which now has turned into a place for renovating old sailing boats. There’s nothing much to see here, especially in the winter, in the middle of a winter blizzard that came out of nowhere. And of course, there’s no water. Tired of walking on flat, normal land, we went forward, and started to hike to the upper part of the island, where we finally had an open and stunning seascape all the way to the main island and its surroundings. The journey was not as easy as I thought it would be. Despite the efforts of the local tourist department, which cleaned the ice from the path and stairs, we still faced a quite big problem – wind that was blowing aggressively. Wind in the winter is not my favorite. Instead of being refreshing, it always makes me feel like tuna in a refrigerator. Moreover, remember that we came to the island a day after a strong storm in Finland, which doubled our misery. Following the narrow path that was wide enough for just for 2 people at a time, we found lots of artillery points complete with sand embankments. I was amazed at how really well-preserved they are. 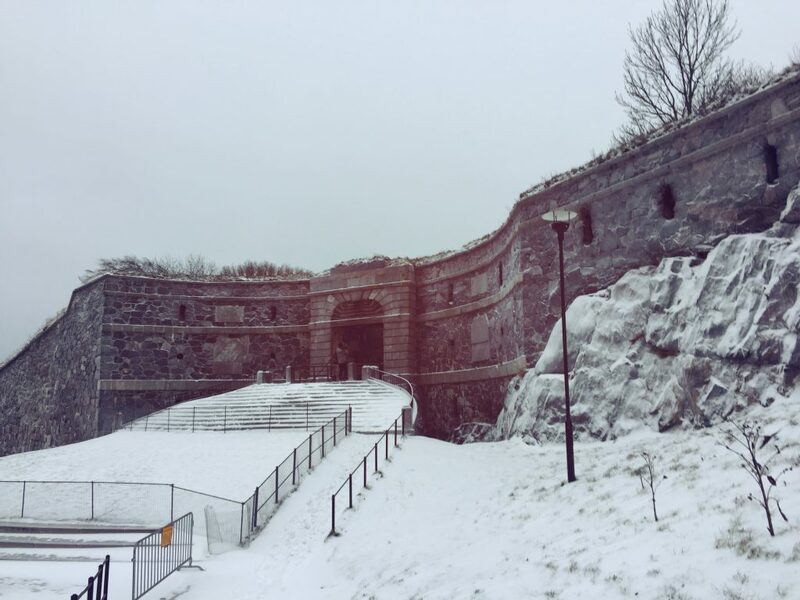 Other than the artillery we found our last stop, the king’s gate, which was the first stop or ceremonial gateway to the fortress where King Adolf Frederick of Sweden’s ship was anchored while he inspected the construction. 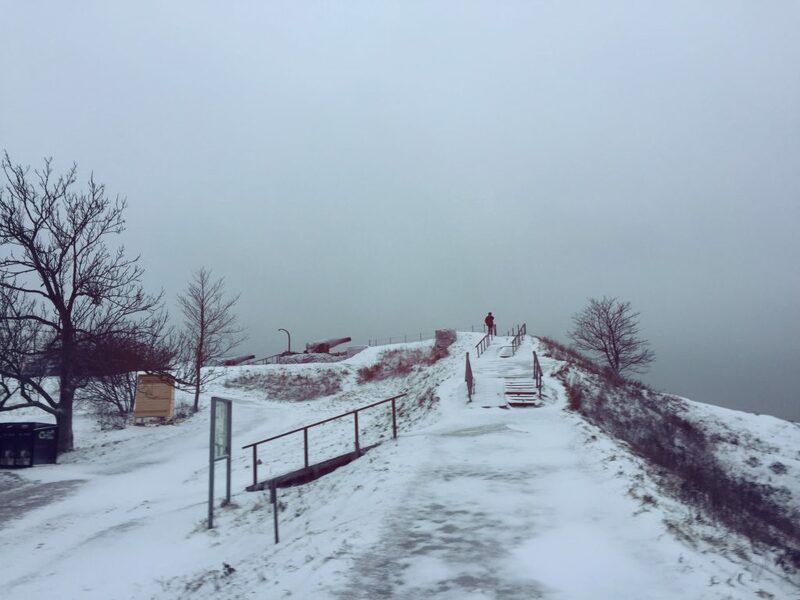 My summary is simple: Suomenlinna is one of the best places to visit in Finland, in winter, in summer, in autumn, or in spring. But I prefer the winter, as I am a bit of an introvert.